 As an Owens Corning preferred contractor, we're highly equipped to make you and your family more comfortable in your home by improving the insulation in your attic. We guarantee our work and ask for no payment until the project is finished, and you are completely satisfied. Improving the insulation in your attic will increase the R-value, which measures how well insulation resists heat. We exceed recommended R-values and install at least an R-49 in our customers' attics. This will make your home more efficient, keeping you cooler in the summer and warmer during winter months, while saving you money on energy costs. Energy Star estimates that the average homeowner can save up to 20% annually in heating and cooling costs by addressing air leaks in their home. Whether you'd prefer fiberglass or spray foam, our insulation systems will significantly increase your R-Value, saving you more over time, hence recouping the cost quicker. We’re pleased to offer the Owens Corning AttiCat Expanding Blown-in Insulation System. 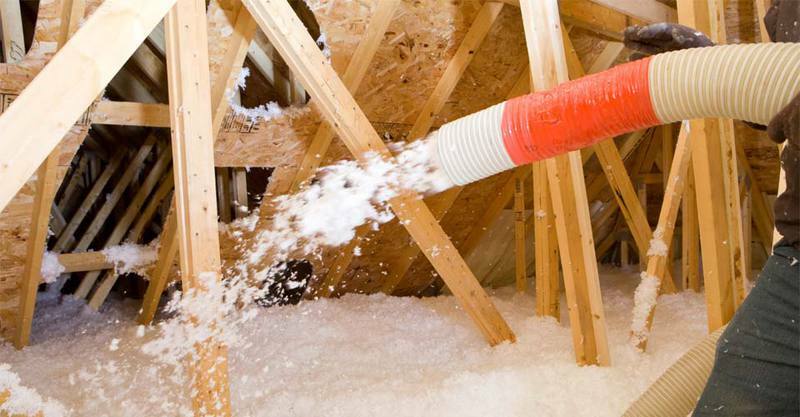 This increasingly popular method is the perfect way to improve the R value in your attic by blowing in more insulation on top of existing insulation without having to deal with the hassle and danger of removing it. Owens Corning is an Energy Star Partner and their High Performance Fiberizing Technology offers the higher R-value per inch available on the market today, which means you use less material and spend less money to achieve your optimal insulating performance. We install windblock barriers and proper vents to ensure air flow from eave vents to prevent ice dams and moisture damage. We also take into account all of the contours of your home, installing air sealing around protrusions for a better fit without air leakage. The morning your project begins, we'll arrive with our equipment and the insulation material you've chosen. We'll cover attic windows, vents, chimney components, heating and cooling units, recessed lighting cans, and any other electrical elements with plastic to protect them from insulation over spray. We seal dust work and all other opening so insulation particles cannot leak into the living spaces of your home. Our team has the training and experience to operate the insulation blowing equipment to achieve the proper density of insulation and to achieve the R-value you desire. The process is quick, taking only a few hours, and will not disrupt your daily routine. We meticulously clean your attic, remove all protective materials and any debris that may have accumulated during the installation. 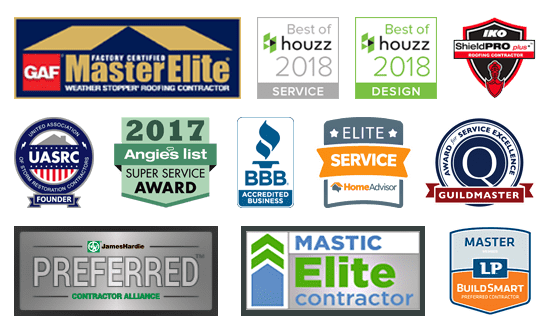 After your attic insulation has been installed, your HW Project Manager will inspect the entire project and ensure it meets your local building and fire codes and our strict standards. Contact us today, and we'll get in touch to set up an appointment to assess the current state of your insulation, and how we can make it better. Attic Insulation Incentive - Get 5 Free Inches! In an effort to help address the "ecological debt" we all now face, Hoffman Weber is now adding Six Extra Inches of Owens Corning Fiber-Glass Insulation Free for any blown-in attic insulation project of at least 800 square feet. Hoffman Weber has the tools and expertise to help homeowners and businesses conserve energy and reduce their impact on climate change. Improving the insulation can be the most impactful way to reduce bills and your carbon footprint.